One full month in Maputo! After spending most of our last weekend inside or in close proximity of our residence we are receiving more and more comments from people urging us to explore more of Maputo and its surroundings. Of course we all agree, we are not visiting Mozambique to merely sit in a study room for two or three months. 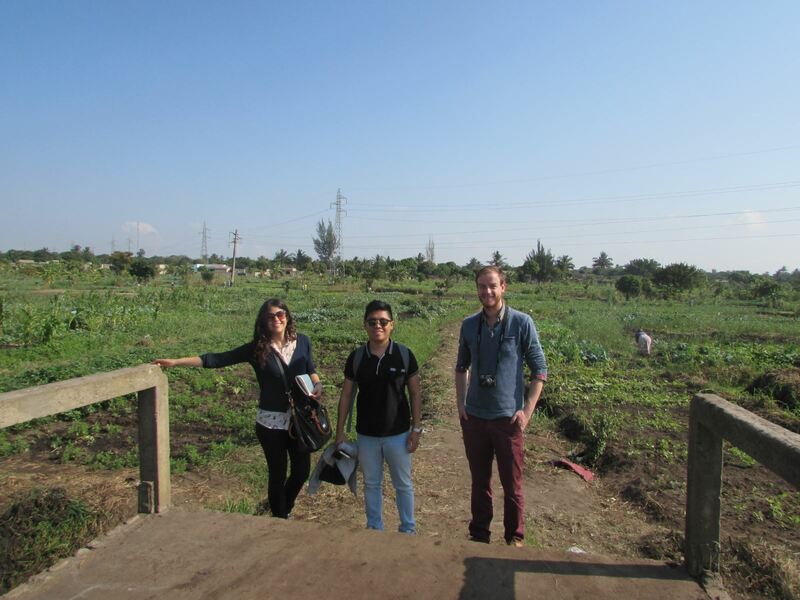 That is why this week we planned a visit to the agricultural zone of Maputo and the wastewater treatment plant (WWTP) in Infulene. For the weekend we planned a travel to the nearby island of Inhaca, which is famous for its beautiful beaches and restaurants serving well-priced fresh lobster. Monday and Tuesday are regular days when we wake up around 7am after a rooster has been urging us to get up for some 2 hours. We visit the canteen for a bread to the side of either a cup of sweet tea or even sweeter milk. Followed by a cup of coffee sometimes accompanied with some shared pastry. On Wednesday we woke up early because Celma was going to come and pick us up at 8am. We remembered to bring our camera’s so we can finally present some pictures besides those taken with Jay-El’s phone. Celma picked us up with her nice car and we listen to a South African radio station discussing the Brexit, as we rode to the municipal Department of Economic Affairs. Here we visit Estêvão João, a former colleague of Celma, who is now working at Maputo municipality. He is responsible for development of agriculture and knows a lot of interesting people for us to meet today. As he is busy in the morning, we were very happy that after a short wait he took time to meet us. We explained our research topics in general and detailed the information that we are looking for. Iana is specifically interested in the amount of water from different sources e.g. standpipes, spring water, river water or drinking water and fertilizers the local farmers are using for their agriculture. Estêvão said that he was not expecting that individual farmers keep track off the total usages throughout the year. Therefore, he recommended us to visit some of the representatives of the agriculture cooperatives. As he speaks Portuguese with Iana and Celma, the conversation is hard to understand for Jay-El and me, but Celma and Iana give us an update once we are back in the car. Estêvão told us that the local farmers rely mostly on surface water. They use more surface water than groundwater in general but some do rely on groundwater. He also explained that they found people getting contaminated water from illegally drains (e.g. water coming from hospitals and industries). He added that there are only 25 municipal workers to assist in the agricultural areas making it difficult to quantify data and to supervise correct practices. In the Maputo Green Belt (Zonas Verdes de Maputo) there are many farmers cooperatives of various sizes, from hundreds of people to less than 10. They often share water sources, buy fertilizers and sell their crops together. We set out to meet a first cooperative that is located close to the house for agriculture in Benfica area (Casa Agrária do Benfica, in Portuguese), where we meet a French women and some Mozambicans working there. This local agriculture office is specialized in agriculture for livestock, but they know many of the nearby farmers. 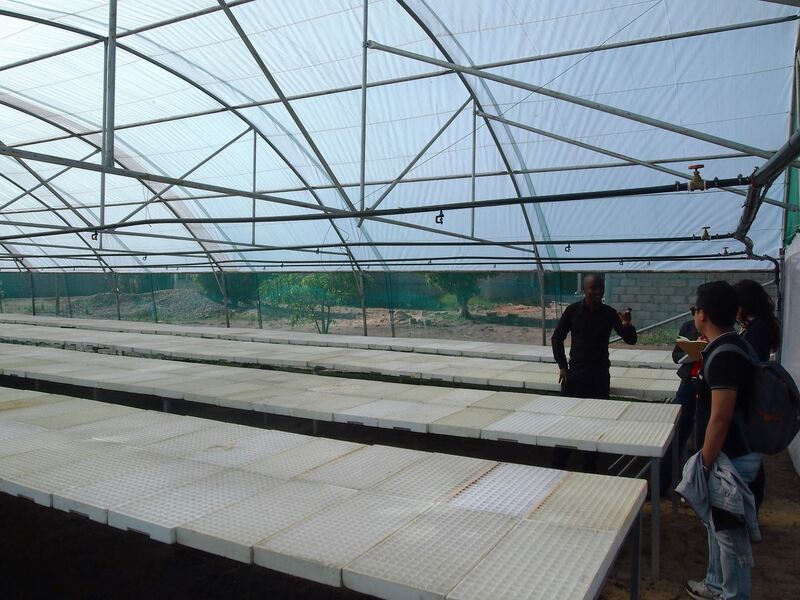 We were shown a greenhouse that has recently been constructed. This is an experimental project for the house for agriculture. Starting next month it will be used to germinate seeds quickly before planting them in the field where they can grow big. It’s an interesting experiment since germination in this greenhouse should be much more efficient in terms of time and use of water then out in the fields. Our Mozambican guide explained that the small river, named Mulahuzi, marks the municipal border between the Municipalities of Maputo and Matola. Since my research contains a case study about the wastewater and drinking water sector in Matola, we used this opportunity to visit Matola for the first time (and of course take a picture). After this we visited two more cooperatives. It’s interesting to see how small the distance is between the moist area next to the river, and much dryer adjacent areas. As these farmers use spring water (groundwater that emerges to the surface) they have no estimation of how much water they are using. At the cooperatives we noticed the use of standpipes was an emergency measure only, and tap water was only used in the most extreme cases of droughts. We were shown several natural springs, and it was clear that these farms rely directly on natural circumstances. Some of the springs provided a lot of water, while 50 meters away a former springs had dried up. The dry soil needs a lot of watering, it became clear that a few days without water could destroy these crops. The farmers we met all said they never use effluent from the WWTP, which is understandable since it is illegal. However, they could confirm that some cooperatives do use the effluent that is not properly treated for reuse. There appears to be a big chance that polluted wastewater from the industries is also used for agriculture, seeing that close to the 2M beer factory there was a lot of water flowing around the crops, even though we are closing in on the peak of the dry season. After visiting the cooperative we passed by the WWTP and set out to meet Eng. Botelho Ferro of the Department of Water and Sanitation. He explained that their office still lacks budgets to rehabilitate the WWTP and that this also limits the potential to create revenues for maintenance of the current waste water network. For my research it is clear that I will have to try hard to gather information on policy problems that are deeper than only a lack of funds or organisational capacity. Since these problems are so urgent, it will be a challenge to find out what interlaying problems are at stake. After the day we arrived back in the residence tired but a lot wiser and with a somewhat improved sense for the situation in peri-urban Greater Maputo. Thursday was the day we celebrated Iana’s birthday. 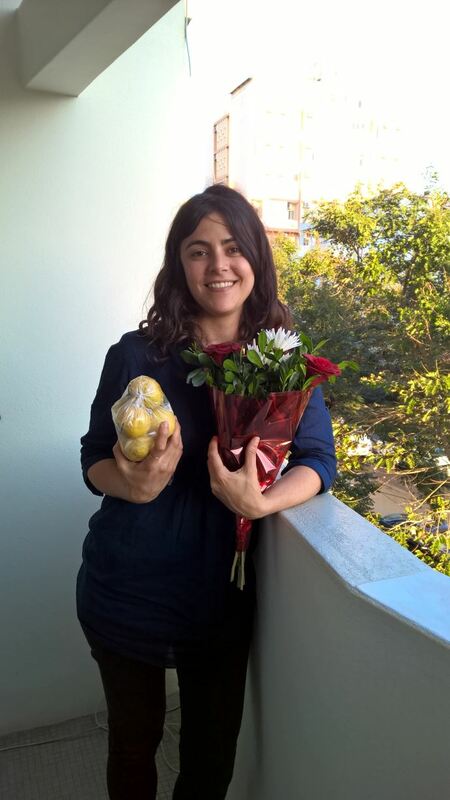 Since we are starting to feel like a small family here, we presented our birthday girl with flowers and her favorite fruit maracujá. In the evening we shortly visited Associação dos Músicos, where Iana was surprised by congratulations of secretly invited friends from the residence. Friday night Jay-El finally managed to convince us to go to the Manila Bar at Feira Popular (a city part with many bars and restaurants). It’s the only restaurant in Maputo that serves traditional Filipino food of the best quality, and as in any Filipino home or restaurant, a karaoke machine is very much present. After Jay-El had showed us what a talented singer he is, it was our turn to shine. After a delicious meal and one or two beers for courage, Iana and I joined into the fun. Saturday morning we planned to take a boat to the island of Inhaca at 7am. Unfortunately when we arrived in the port, after a short night, no boats were leaving Maputo due to stormy weather. This meant our adventure was postponed by at least one week. 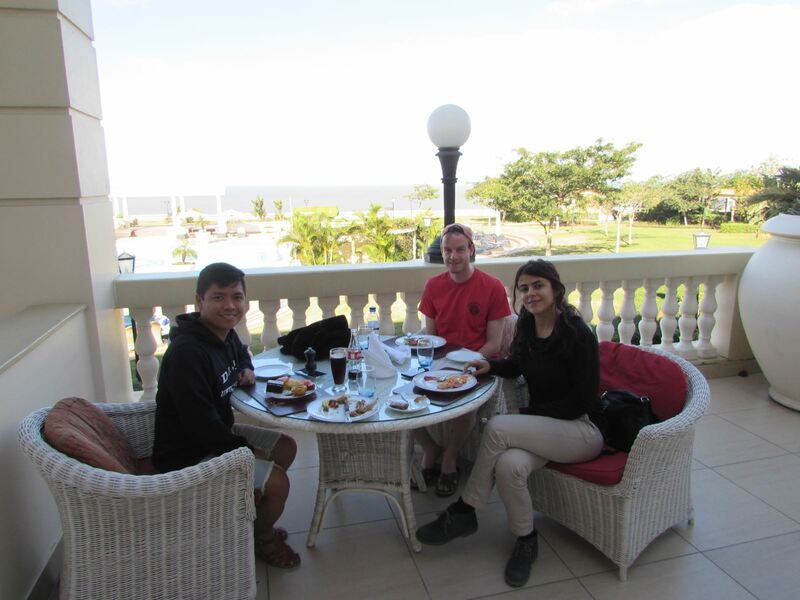 However, in order to still celebrate being in Mozambique for a full month, we visited Hotel Polana Serena for the traditional Brazilian Feijoada (stew of beans with beef and pork) which we heard about in a documentary. Apparently this was not our lucky weekend, since the hotel is no longer serving Feijoada. We tried the buffet instead, which was perfect and came accompanied with a magnificent view of the ocean from the hotel garden. 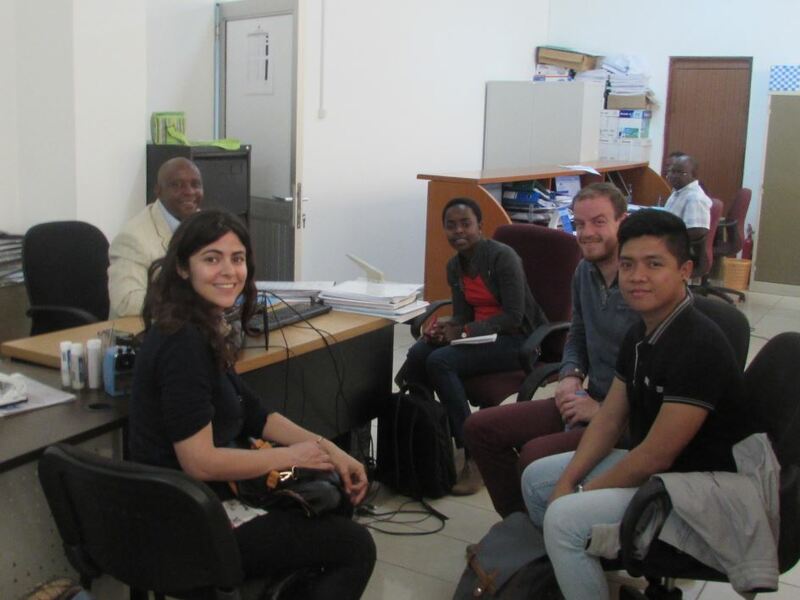 This entry was posted in general, information, Jesper, Students and tagged agriculture, Inhaca, irrigation, maputo, mozambique, Municipality of Maputo, sanitation, sustainable, wastewater, water, water reclamation, water reuse, water supply, WWTP by André. Bookmark the permalink.